Last modified on July 23rd, 2018 by Vincy. Sooner or later, but each developer will get the task to execute the project not only qualitatively, but also as quickly as possible. So it has happened with me. It was necessary to think, with the help of what is it possible to accelerate the work? Of course, with the help of ready-made solutions! If you want to work more efficiently, then use well-tested frameworks and libraries. Lately, I have been programming in CodeLobster IDE, since it includes a complete set of modules to support the most popular and useful PHP frameworks. So, while I was working on the choice of a suitable PHP framework, I had an idea to write this article. 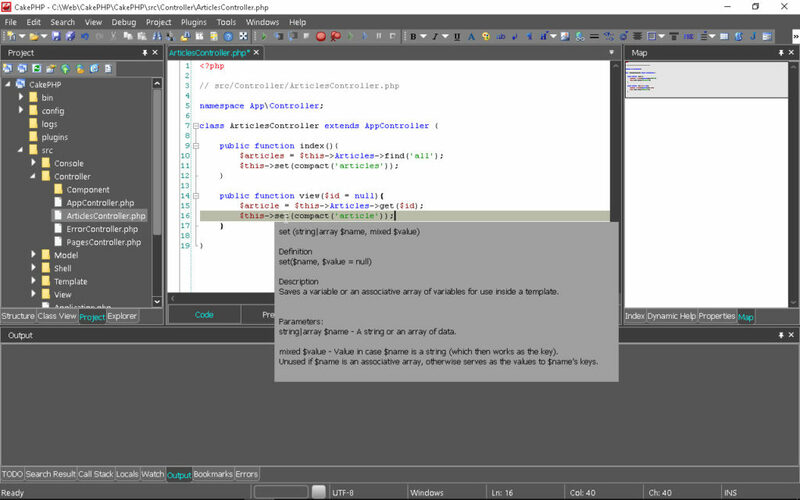 Next, I will tell you about the features of my IDE and what useful tools we can use for our sites and web applications. As a rule, frameworks are well suited for implementing such a design pattern as MVC (Model-View-Controller). This approach, in fact, allows you to divide the project into two parts – the frontend and the backend. In this case, everyone can calmly perform their duties, the designer is creating a user interface, and the PHP programmer works with databases, files and with the main logic of the program. This makes it possible to speed up the creation of large Internet projects and facilitates to effective work in the team. Special attention should be paid to ORM or Object-Relational Mapping frameworks, which PHP developers use when they interact with data sources. The possibilities of this technology are widely used in OOP in PHP, because with its help you can associate the object fields with the columns in the database tables. After that, the programmer saves the objects in the database and then extracts them without writing a single SQL query and without worrying about which database is used. Let’s take a closer look at PHP frameworks which are supported in the CodeLobster IDE. CakePHP is both an MVC and ORM framework, one of the most popular today. It works very well with databases, for example, with MySQL, SQLite, PostgreSQL. 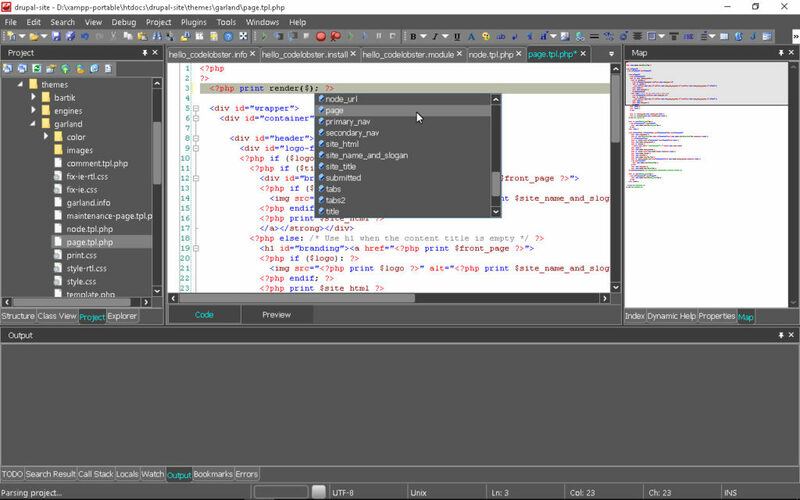 Creating, for example, a controller in the CakePHP software environment, you can significantly speed up the process using autocompletion, to do this, start typing the code and press Ctrl + Space. CakePHP is designed to work on the concept of Rapid Application Development (RAD). 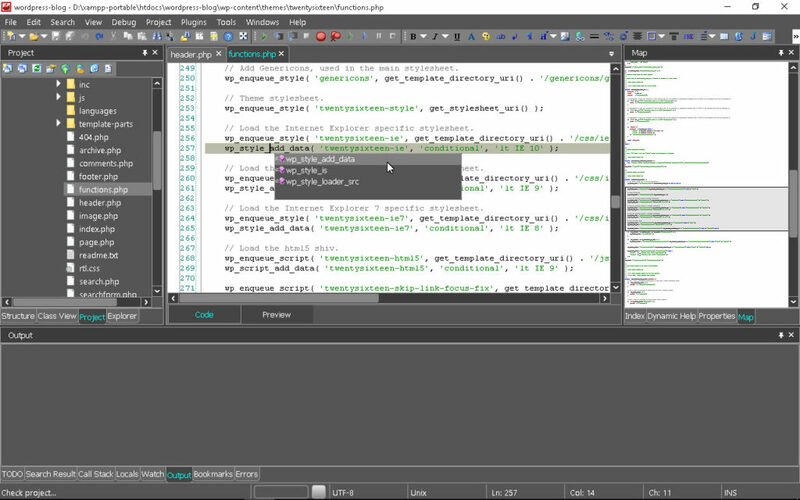 If you follow the conventions on the names of tables and columns, you can easily create and save objects in the database. Also scaffolding is supported – it is code generation based on the specification created by the programmer. There are also many modules for expanding the standard functionality of the framework. In CodeLobster, you can get an instant pop-up hint about a specific function of any of the supported libraries. 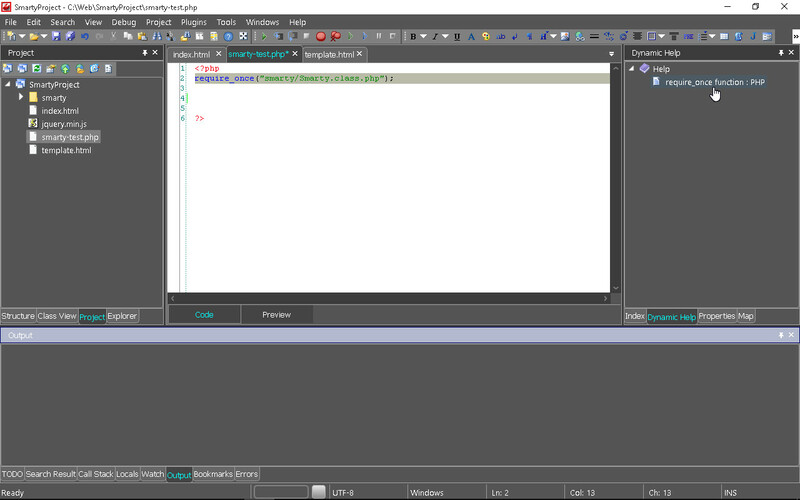 Simply hover mouse pointer over its name and the IDE will immediately provide a description, including the parameters that is received and the return value. CodeIgniter – it is quite fast and not demanding to hosting framework. It is well documented, there are many examples of its use on the network. When CodeIgniter was created, many innovative ideas were introduced, some developers use this framework to create their libraries and content management systems. It can work with various databases: SQLite, MySQL, PostgreSQL, Microsoft SQL Server and Oracle DB. It facilitates the implementation of routine tasks, such as working with files and images, sending mail and managing user sessions, as well as validating forms. Laravel – open source PHP framework, it works on the principles of Model – View – Controller. It calls itself a PHP framework for web artisans, and that it is aimed for creating simple and elegant code. It has well implemented such common tasks as user authentication and sessions, caching, dividing data by pages (pagination). Laravel has a built-in REST controller, supports autoloading of PHP classes and unit testing. Phalcon provides high performance, it is written in C and is delivered as a separate module for the server. It has a low-level architecture, it practically does not affect the load of the processor and the system, because the module code is compiled. Phalcon facilitates the creation of MVC-applications and uses ORM to save classes and objects in the database, also it supports transactions. There are many additional useful functions, for example, REST-controller, autoloader of PHP classes, built-in template engine and other components. Smarty is a template engine that greatly simplifies the work of the HTML-coder, it is written in PHP and provides the ability to compile a template for greater performance. This engine supports an extended set of specific template tags, including those that allow you to embed the programming logic in the template, making it dynamic. The flexible architecture of Smarty allows web developers to use add-ons to extend standard functionality. 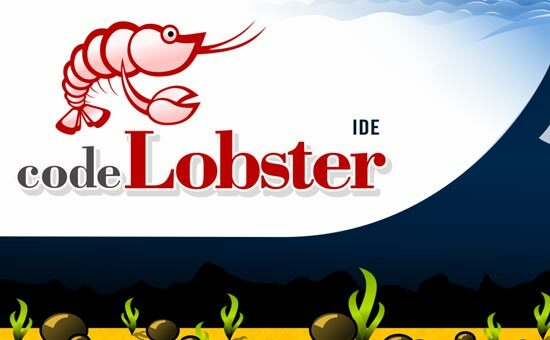 CodeLobster IDE provides the ability to create templates, insert Smarty tags in them, create and initialize variables, using auto-completion and function hints. 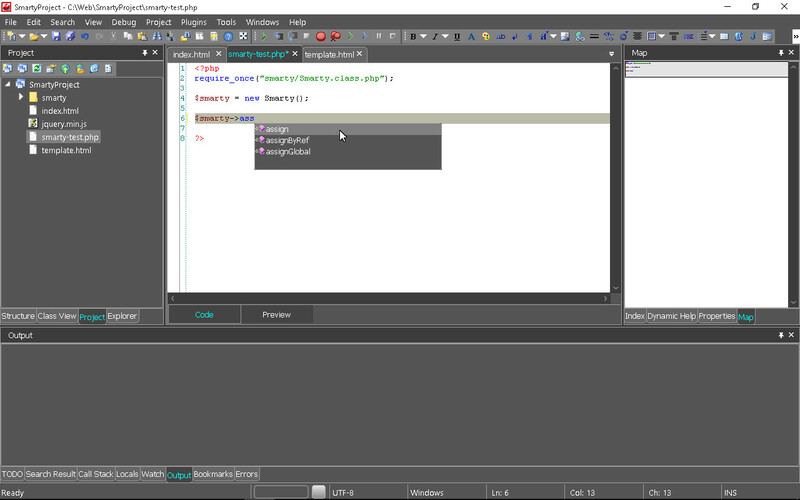 You can download and install the framework automatically, and then add Smarty to your project directly from the IDE. It is necessary to mention one more convenient functionality – the dynamic help. If you are just starting to learn a tool, the documentation should always be at hand. Place the cursor on the function name and look on the right side, in the “Dynamic Help” tab you will see a list of available resources. Select the desired item and the documentation will be opened in the default browser. Symfony is a component PHP framework, it consists of a set of libraries, in total there are about 50 different components available. The developer can use any suitable component or set of components. This speeds up the process of creating and deploying web applications, since all repetitive coding tasks are already implemented. When creating libraries for Symfony, the best PHP development experience was used, for example, effective solutions from the Drupal code and phpBB were borrowed. Twig – a template engine with a compilation of templates, it is part of the Symfony framework you already know. It is very fast, flexible and secure, easily extended, any functionality might be rewritten and redefined using plug-ins. A template can contain both variables and expressions, so we can embed logic in our templates. Twig differs by the possibility of inheriting from the parent template, the programmer can override any part of it. Yii – Yes It Is! Yii is a popular framework that helps you build applications using the MVC approach. It includes tools for implementing such routine tasks as user authentication and authorization, form validation, page caching, and supports for multilingual. Yii interacts with both relational and NoSQL databases. The developer can use code generation, the so-called scaffolding for that. For those who are engaged in creating user interfaces, it will be nice to know that in this framework there is an opportunity to use different themes, and the latest version includes support for Bootstrap. CMS are content management systems, they already have all routine tasks implemented, there is a built-in template engine and there are tools for convenient and transparent work with various databases. In fact, they are frameworks with advanced user interface for site administration and the ability to select and customize the themes. Using CMS and their extensions, you can very quickly deploy a complex Internet portal or website for e-commerce. Drupal is a functional platform with a powerful set of API, experienced programmers can build their own content management systems based on it. It has a large community of developers, and therefore, a huge number of modules and quality free themes are created. Even a beginner with only basic programming skills will be able to create a website, blog or forum on Drupal. It is necessarily for modern IDEs to support the work with Drupal. In CodeLobster we can install this CMS, create modules and work with Drupal themes and templates. Magento is an e-commerce platform based on the PHP Zend Framework. While it is demanding on hosting resources, it has extensive set of opportunities. With the help of plug-ins it is easy to integrate with various payment methods and payment systems, for example, PayPal, Authorize, Payflow Pro and others. Also pay by check, by credit card or bank transfer are possible. Magento allows you to create functional sites for online shopping, it supports multiple currencies and a multilingual user interface. Joomla is an open source system. For those who have at least minimal programming skills, this CMS will be very convenient and useful. Using templates in Joomla is very simple, and many programmers believe that it is great for creating online stores. It is a component system and, therefore, easily expandable. Components in the Joomla environment are plugins, templates and modules. WordPress is a content management system that has repeatedly received awards as the best Open Source CMS. It has a huge community of users and developers, thanks to this we have got a lot of free themes and plug-ins for implementing projects of any scale. Based on WordPress you can create a personal blog or a complex news portal and easily customize the site. With CodeLobster, you can modify any WordPress component to fit your needs. All functions of WordPress, Actions, Filters and their parameters are supported, the work with official documentation is very convenient. 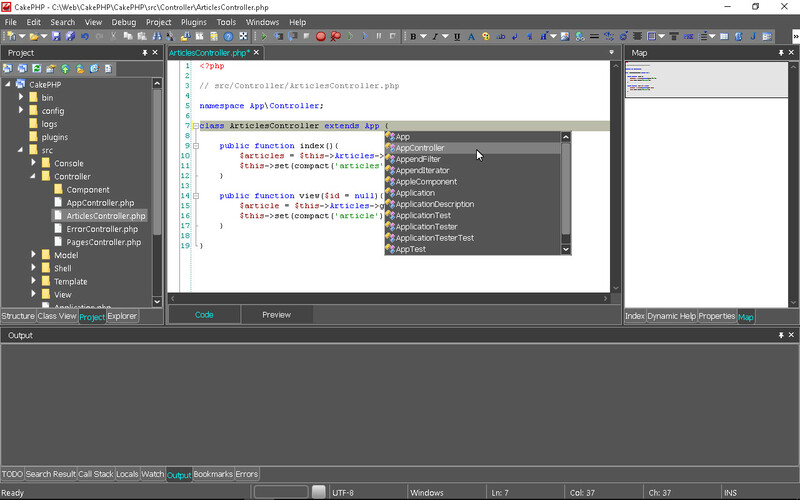 Also in CodeLobster IDE there is a separate interface that allows you to install WordPress in automatic mode, using the wizard. Now, after reading this article, you simply have to become an expert in PHP frameworks. We have got a lot of opportunities to choose from, and CodeLobster IDE has built-in support for various PHP libraries and CMS. But IDE only helps the programmer to implement his tasks, the programming environment does not solve strategic issues for him. You need to carefully plan your work before you start writing a code. In the future, while developing the web application or site you will be tied to the architectural features of the framework and its API. Do not forget that choosing the right framework is not an easy task, because PHP framework or CMS is the base, namely, the foundation for successful project construction.